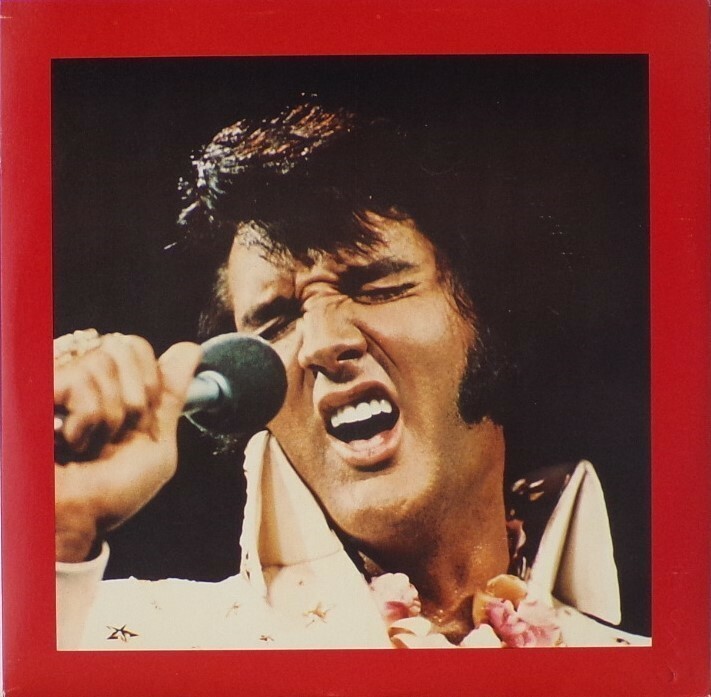 Elvis: A Legendary Performer Volume 1 is a greatest hits collection by Elvis Presley issued in 1974 by RCA Records. 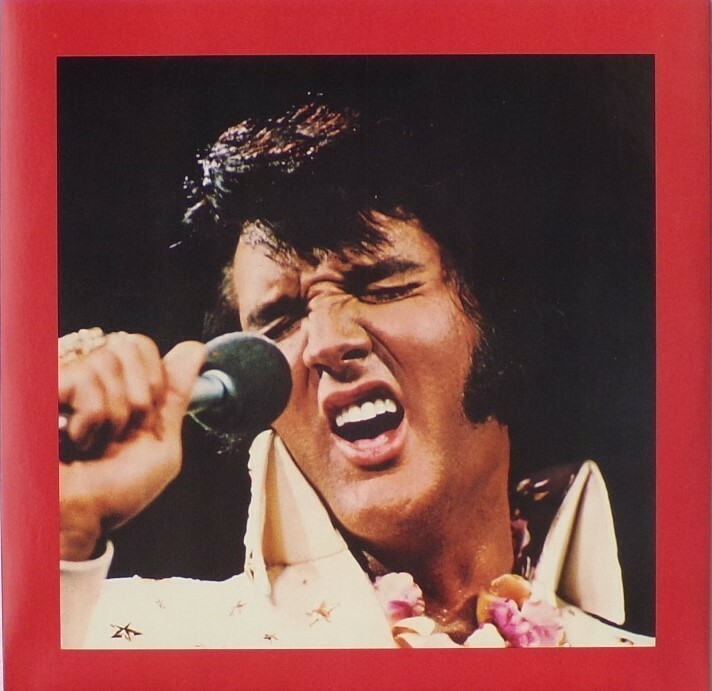 It features 14 tracks, which includes twelve songs and two interviews with Presley. The album opens with his first recording from 1954, "That's All Right", the song that started his recording career at Sun Records. 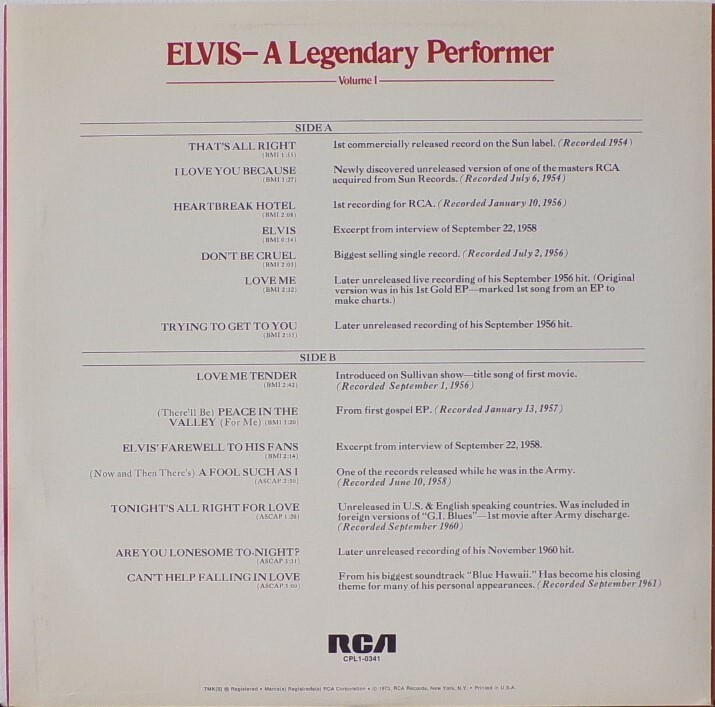 It was certified Gold on 1/08/1975 and Platinum and 2x Platinum on 7/15/1999 by the RIAA. 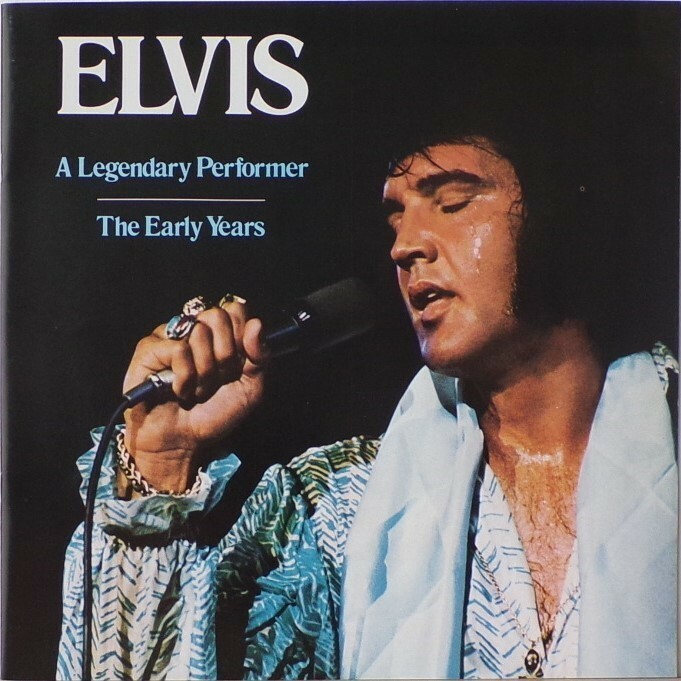 Ultimately, four volumes of the A Legendary Performer series were issued over the next decade, with increasing amounts of previously unissued material. 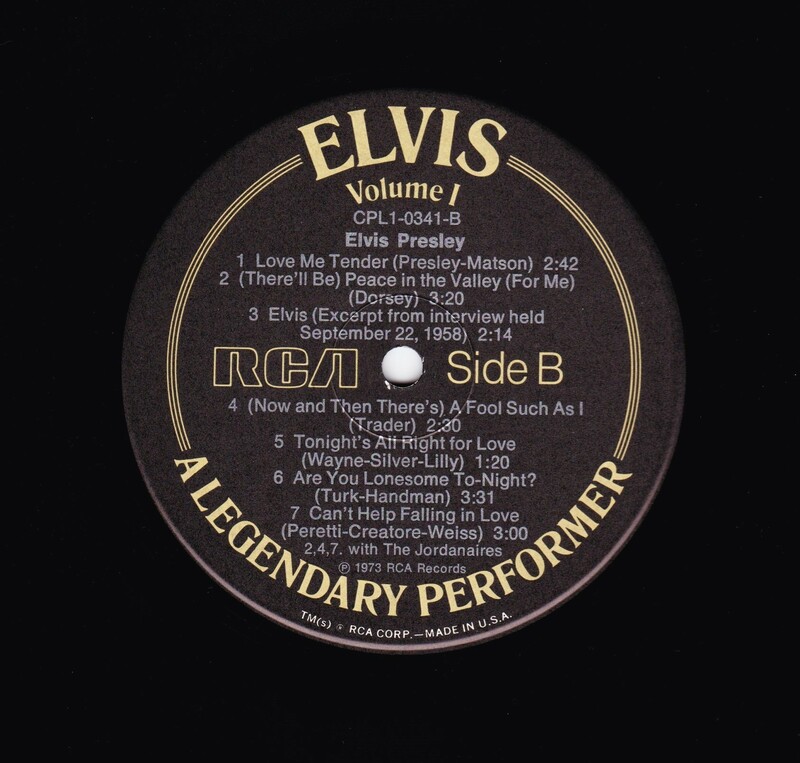 This first volume included previously unreleased live performances of several songs from Presley's 1968 TV special, an alternate version of his first known recording for Sun Records ("I Love You Because"), and the first American release of "Tonight's All Right for Love" from the European version of G.I. Blues. 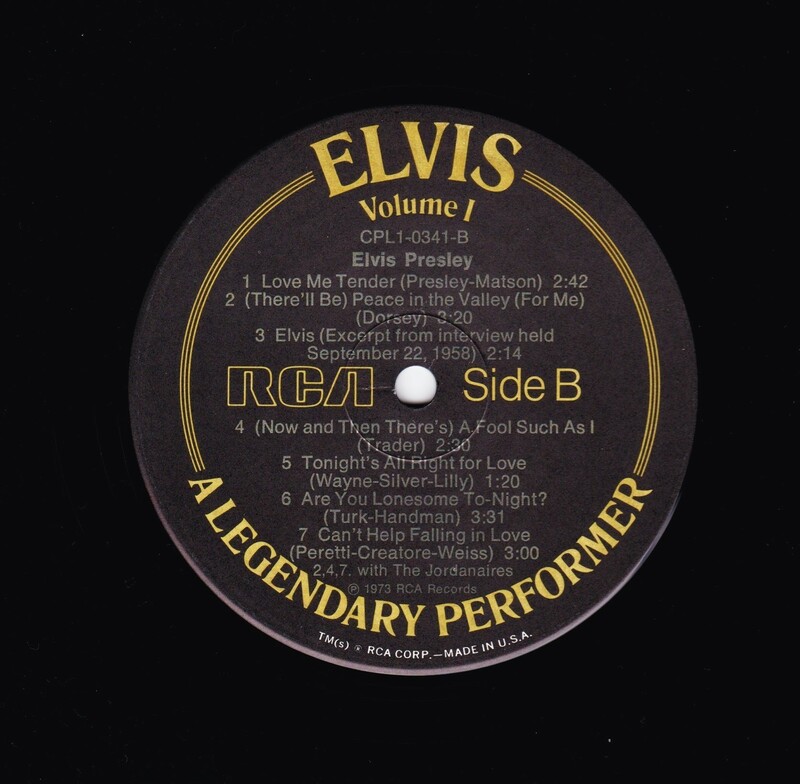 The two interview recordings were originally released by RCA in 1958 as the EP, Elvis Sails. 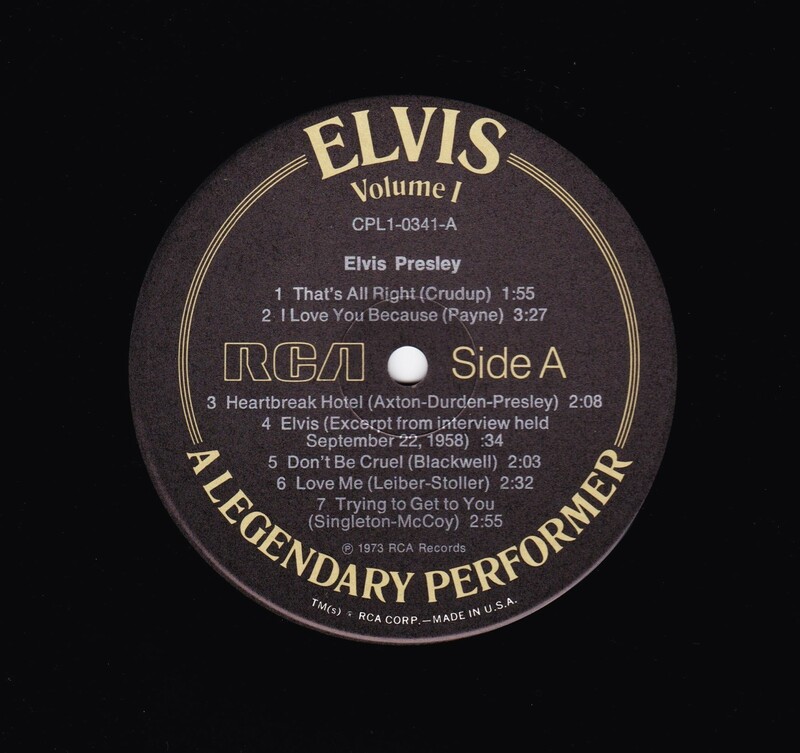 Although RCA had released alternate takes of Presley studio recordings in the past—for example in 1958 two different takes of the song "Lover Doll" from the film soundtrack King Creole were released on the official soundtrack album (LPM-1884) and the reissue EP King Creole Volume 1 (EPA-4319) -- this was the first time the label began seriously releasing such material, although large scale release of alternate takes by Presley would not begin until after his death. 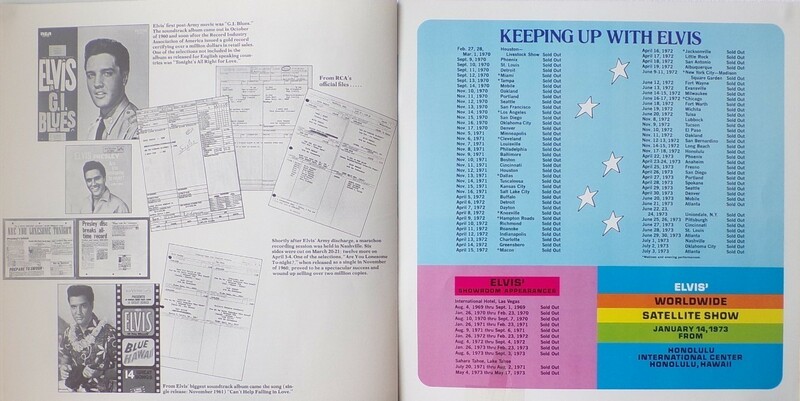 *NOTE* The above booklet came with all the below releases except were stated. 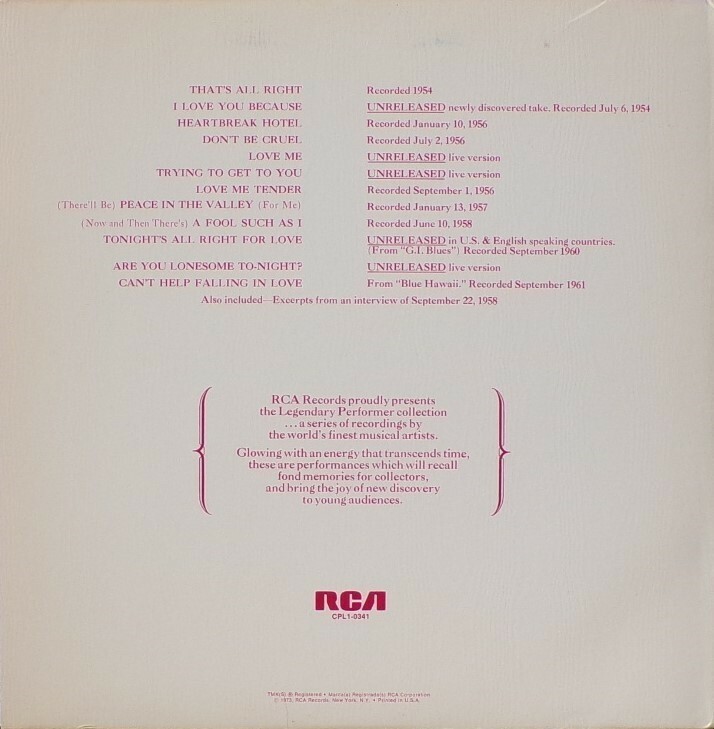 ​​Rear Cover : Song titles. 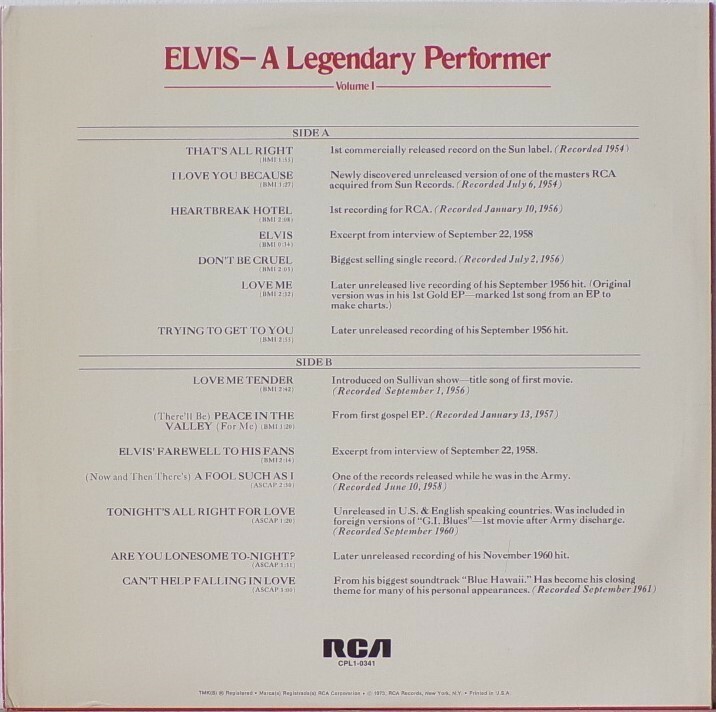 In brackets RCA statement about the Legendary Performer collections. 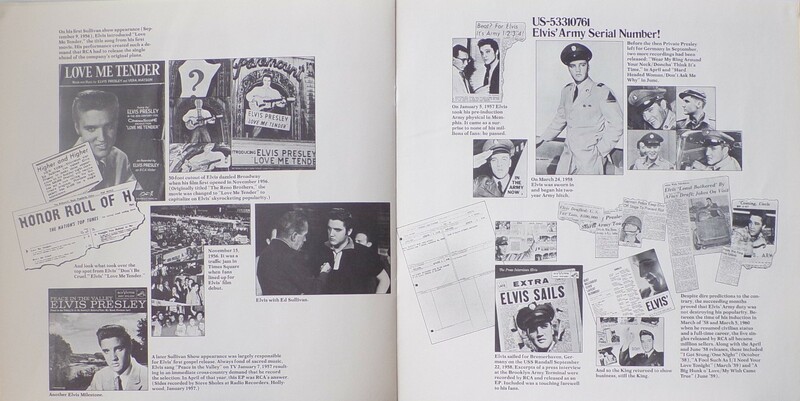 Catalogue number & Printed in U.S.A. bottom centre. 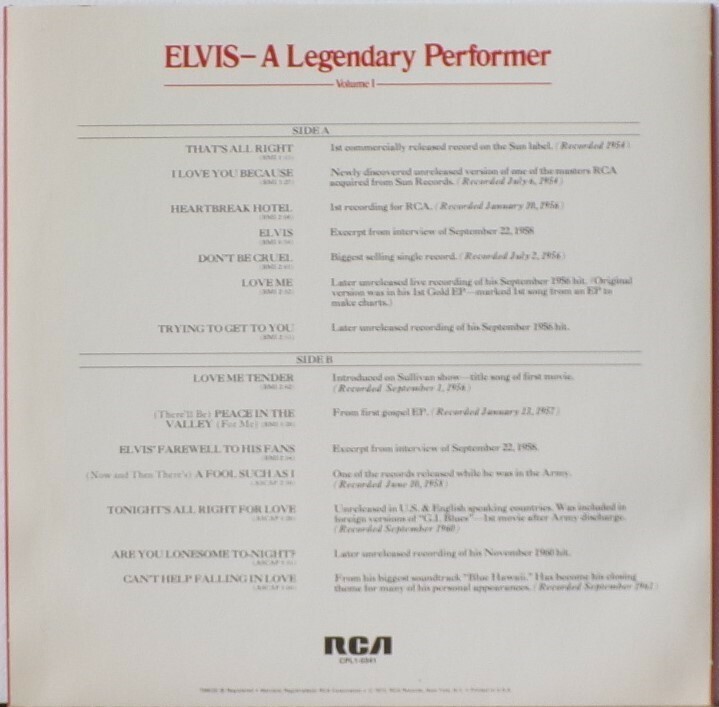 Side A : Volume 1 top under Elvis. 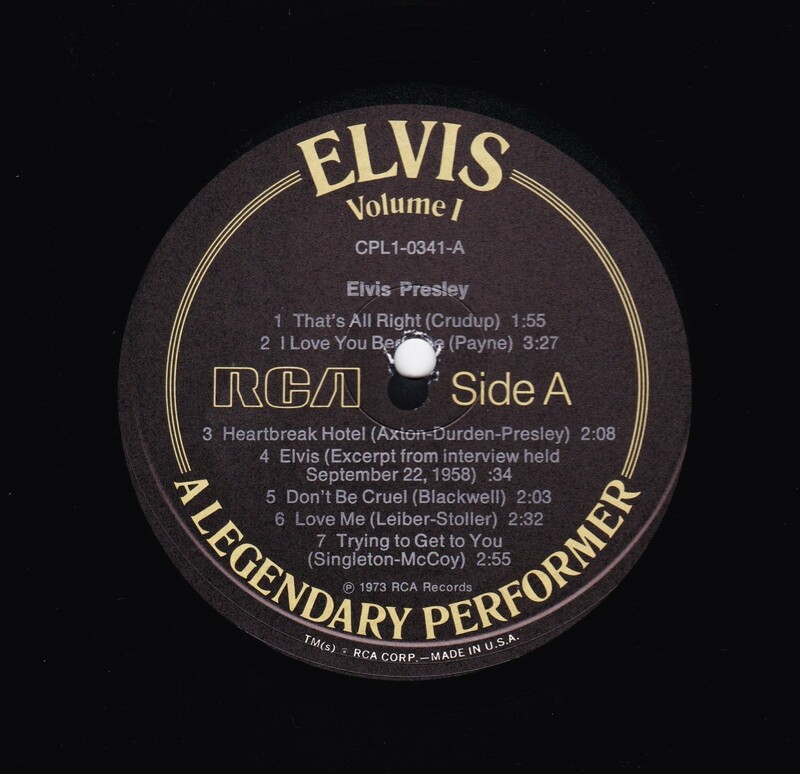 Side B : ​Volume 1 top under Elvis. *NOTE* Promotional copy. 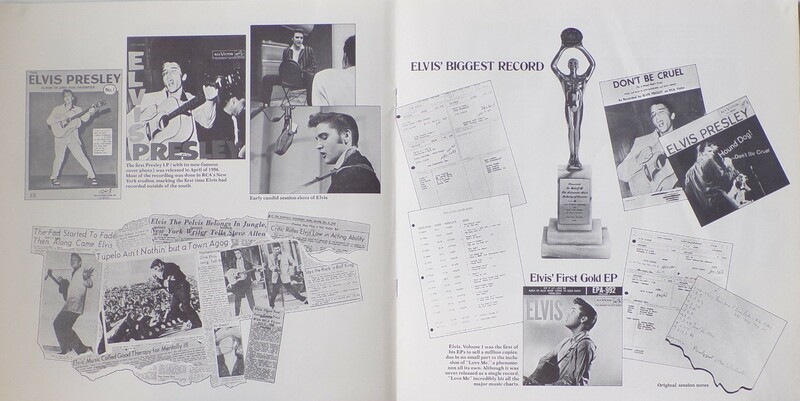 Stamped bottom right. 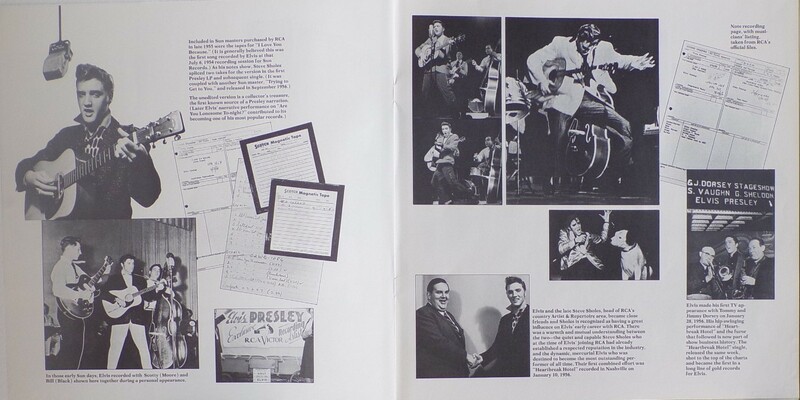 Inner sleeve photo stamped bottom right. 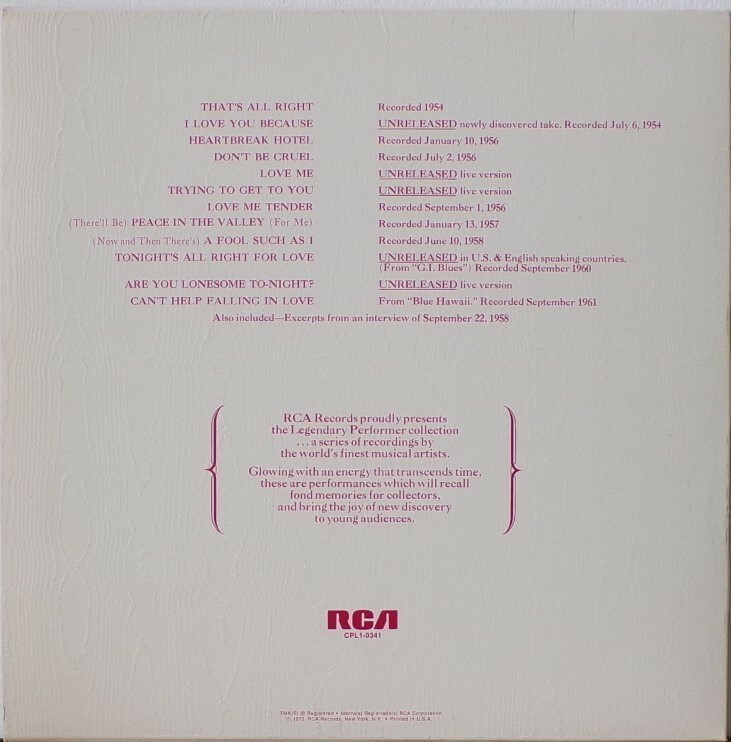 Other side has song titles. 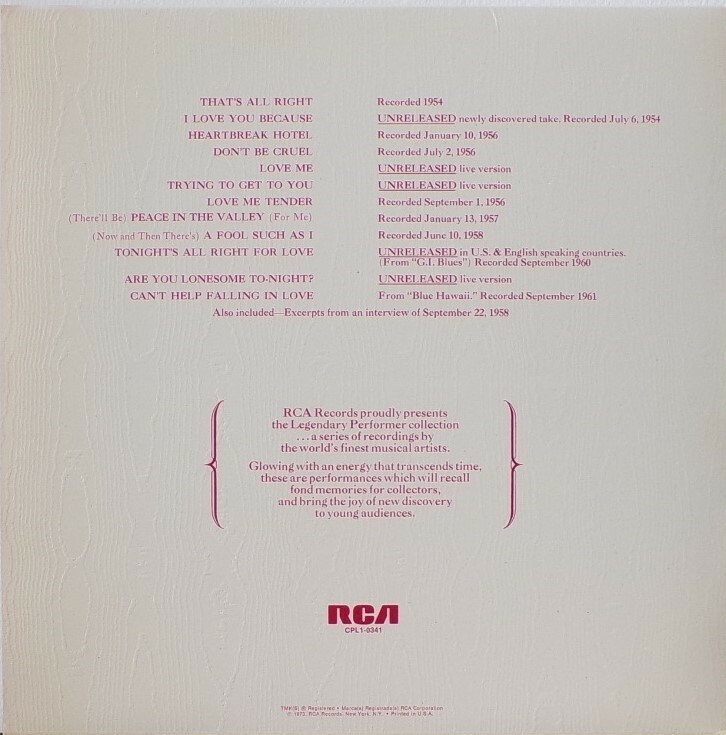 Vinyl labels have Gold & Silver text. 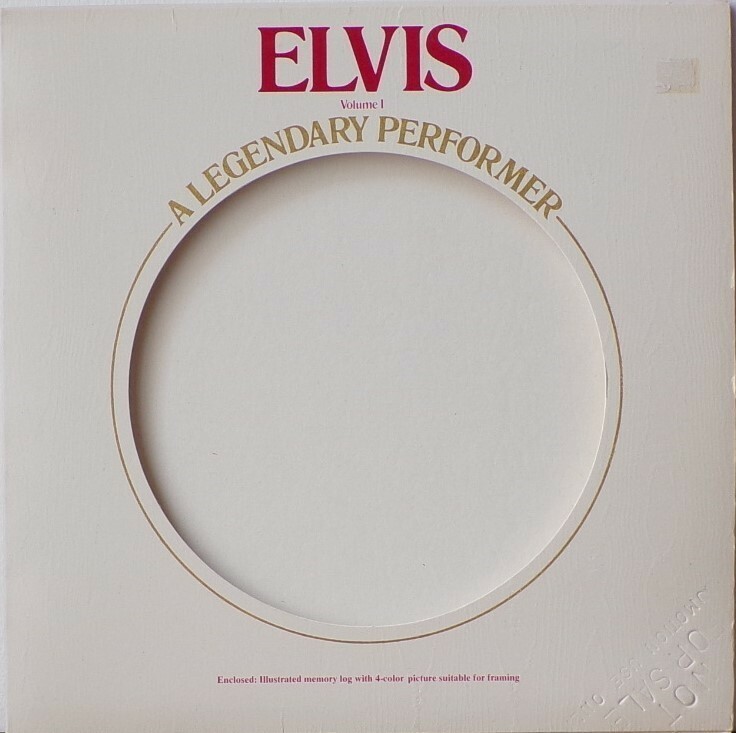 The front cover has a wood grain effect and "A Legendary Performer " the text is raised. *NOTE* Standard issue. 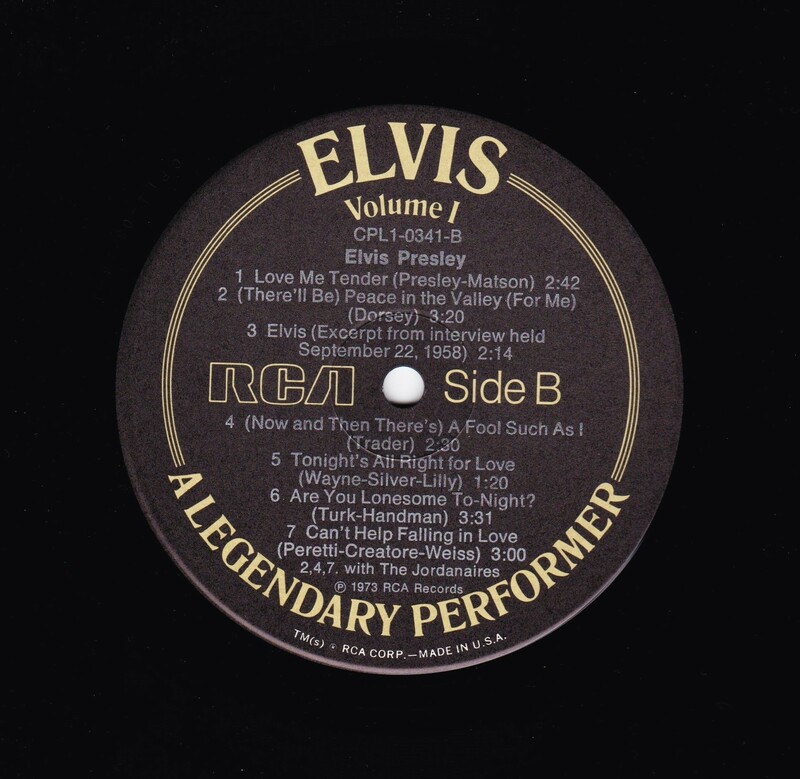 Vinyl labels have Gold & Silver text. 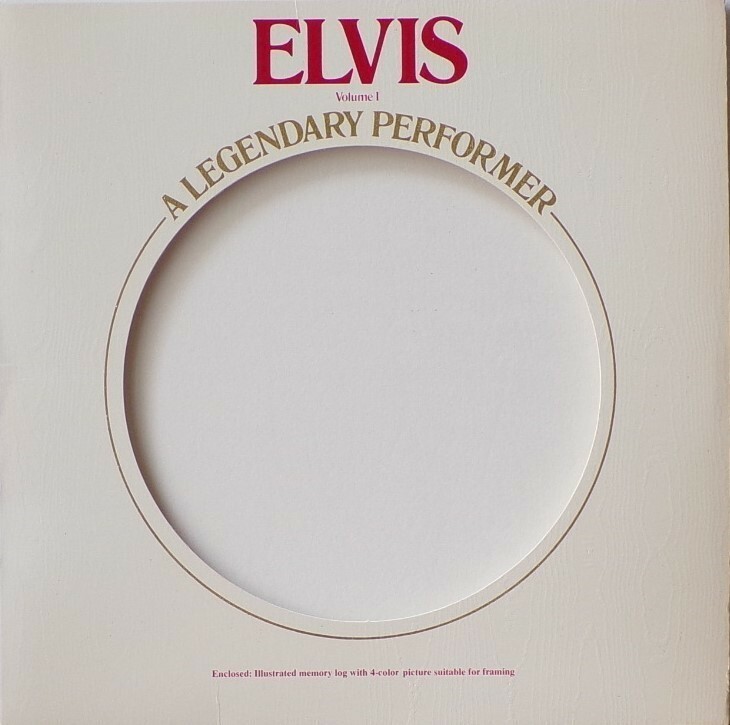 The front cover has a wood grain affect and "A Legendary Performer " the text is raised. 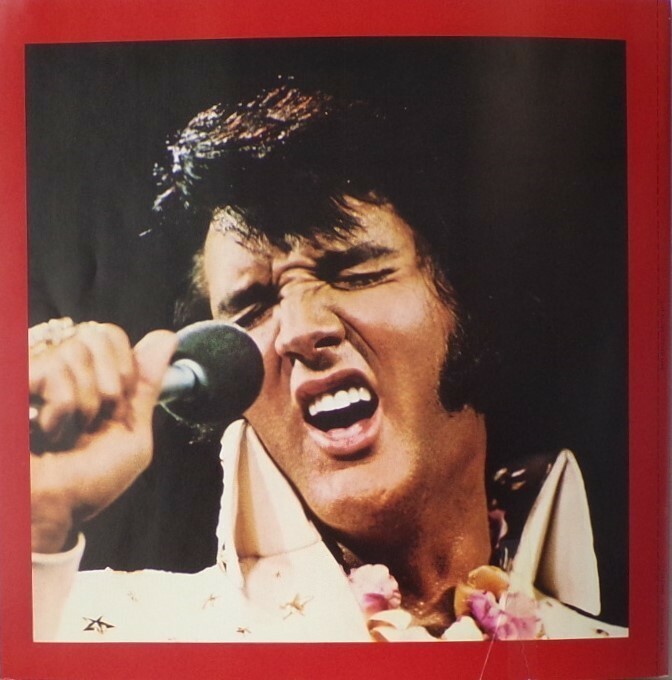 *NOTE* Second cover. Standard issue. 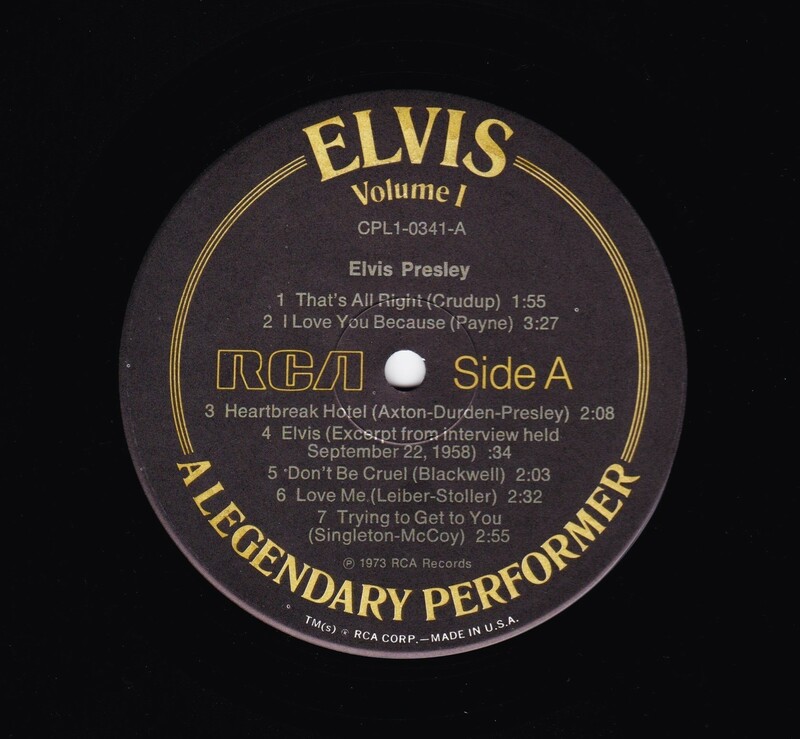 Vinyl labels have Gold & Silver text. 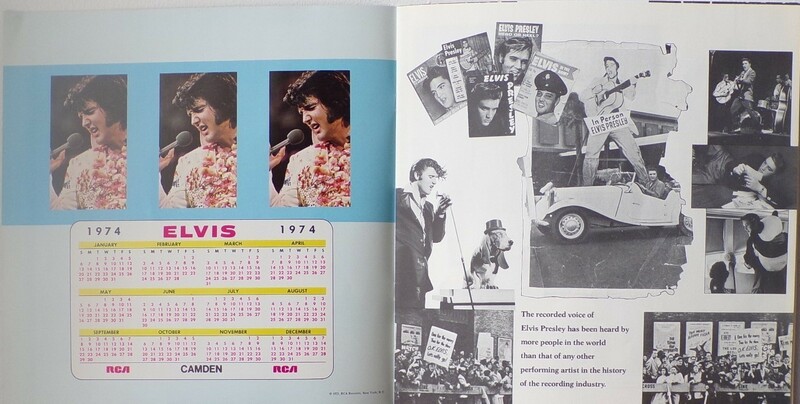 TM(s) RCA CORP - MADE IN U.S.A. now in silver text previous 2 above is in gold text. 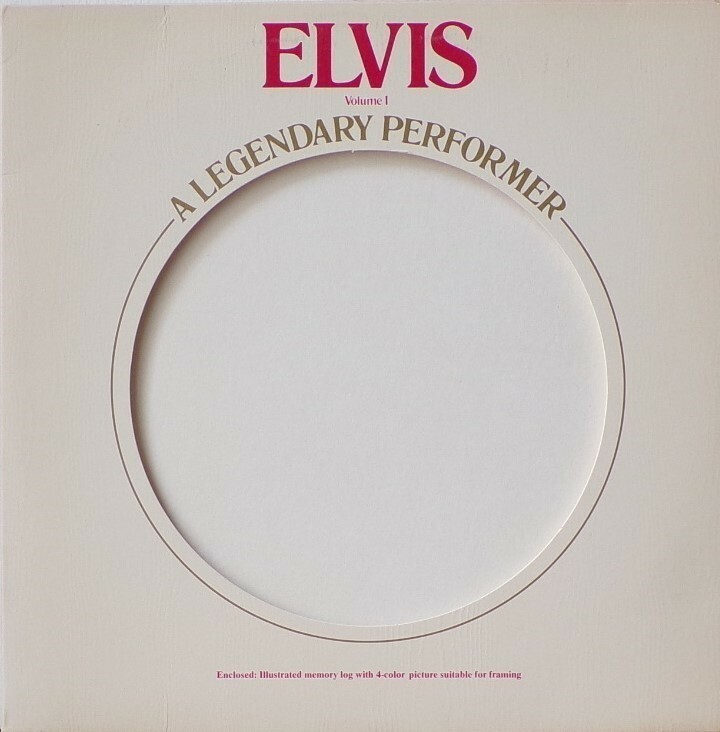 The front cover has a wood grain effect and "A Legendary Performer " the text is flat.